This booklet is only 45 pages and in about letter format. I like to recommend it anyway since it is knowledgeable written and the pictures are of good quality. It is a fine book to be sure, full of helpful and interesting information. I think this could actually be quite useful in particular on the US market where this porcelain is more common than in Europe at a very modest price. 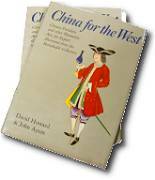 For dating, David Howard Chinese Armorial Porcelain II cover this period too and is more all round, so if you got Howard II, you might not find that this booklet adds that much. But, there is also a difference in size, price, and scope. As a small comment I personally prefer to reserve the famille rose name to porcelain from the 18th century and to call this porcelain Rose Medallion family, but maybe this does not matter much. As a pure curiosity the author was also a very special guy. There was a lot of talk about this at the time. 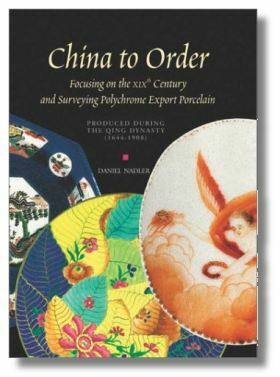 The author, John Quentin Feller, a University of Scranton professor and expert in Chinese porcelain was one of the most accomplished and compulsive art thieves in American history. Feller admitted walking off with more than 100 items from eight different museums. Interestingly, he donated many of his stolen goodies back to other cultural institutions, earning himself something of a reputation as an art world Robin Hood. He managed to carry on for almost 20 years before being caught and sent to prison in 1991. 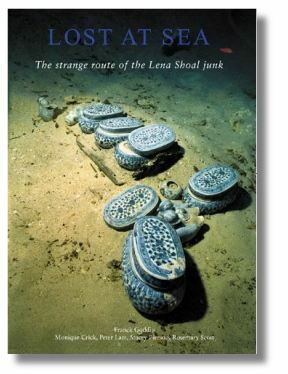 This is a very interesting book considering the time at which this ship appears to have sunk, as in pretty much immediately after the Kangxi period. Quite a lot of the cargo consists of pieces that in the antiques trade usually has been given the label Kangxi. Since quite a number of the pieces actually carries the Yongzheng (1723-1735) reign mark, that theory obviously needs to go. 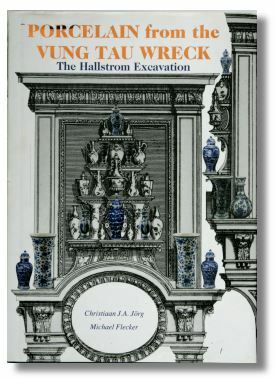 This is a really good reference book for this expansive period in the history of Chinese Export porcelain finding its palace right between the Vung Tau cargo c. 1700 and the Gotheborg cargo 1745. The book is of 258 pages (96 pages of text, 386 photographs, and 21 pages of ceramics designs) and many line drawings. 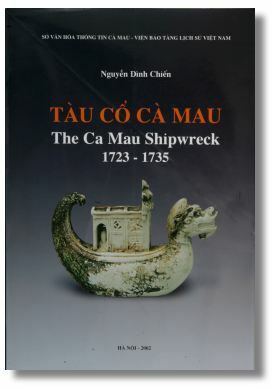 The book was based on the report complied by the Excavations Committee together with data and records relating to the artifacts collected by the two provincial museums of Binh Thuan and Ca Mau, from 1998-2000. The contents includes the archaeological excavations of Ca Mau shipwreck, the artifacts recovered from the shipwreck site and maps. 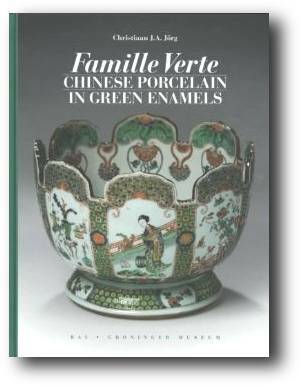 This book focuses despite the impression one might get from the cover picture, on the 19th century export porcelains. I need to say I have not read this book myself but list it through recommendations. You are welcome to add your own comments. The Private Market in Chinese Export Porcelain. In the 1690s, a Chinese junk bound for Batavia and laden with ceramics for export to Europe, caught fire and foundered off Vung Tau, Vietnam. In the 1990s – and with the sanction of the Vietnamese government — a Vietnamese/Swedish team explored the wreck. A vast amount of mainly blue-and-white porcelain was found, and much of it was finally auctioned in Amsterdam, the cargo’s original destination. This illustrated expert study describes the 17th century export trade of China-Batavia-Holland and details the artefacts found. In part 2 the ship itself is presented and the methods and course of the excavation are set out. With drawings and photographs, biblography and index. 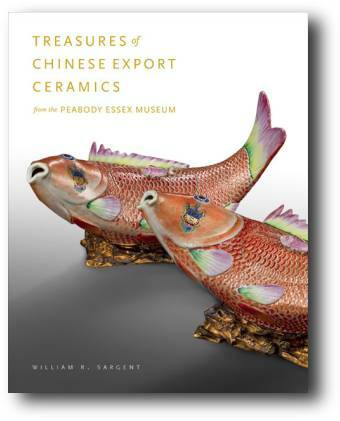 This book is divided into two sections: the art historical study of the ceramic hoard and it place in the history of European trade with Asia and China and the excavation process. It also presents data and commentary on the systematic underwater fieldwork, documentation and the raising of the cargo. This Volume II is a second, much updated, version of a work originally published in 1974. The late David Howard was as dedicated and well-organized businessman and scholar you could ever ask for. Somehow he seemed to share the soul of the early traders, adventurers and businessmen who originated the East India Companies throughout the world in the 17th 18th and 19th centuries. David Howard was an expert in Chinese export porcelain for over thirty years, based in a small shop in Hay Hill in London. We met and corresponded via mail for some time and I am happy to recognize some of my additions to his collection in his books. 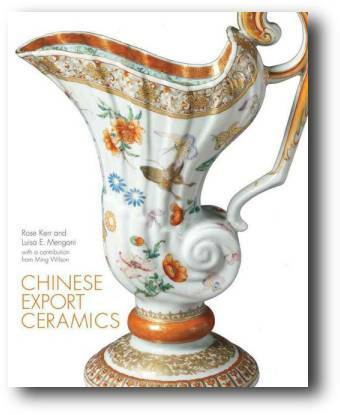 This Volume II I would consider an indispensable resource for anyone studying and collecting Chinese Export porcelain. Beside an extensive list of supplementary articles and registers the listing of services with photographs occupies some 640 pages of the 900 pages. The original 1974 volume listed nearly 3,000 services made for families with British connections, of which almost 2,000 were illustrated. This new 2003 edition illustrates some 3,380 services, and David Howard believes that perhaps as many as 2,000 more still await discovery. The order in which this complex material is organized follows the method he introduced in the 1974 edition by dividing them according to the style of the designs on their rims. Although the system is not perfect, containing minor contradictions and overlaps, it supplements dating most domestic and export Chinese porcelain that bears similar designs as the armorial porcelain why these documented items, sometimes datable to an exact year, provide information with regards to form, pattern, motif and color palette that can be applied both to export wares and to Qing dynasty porcelain more generally. 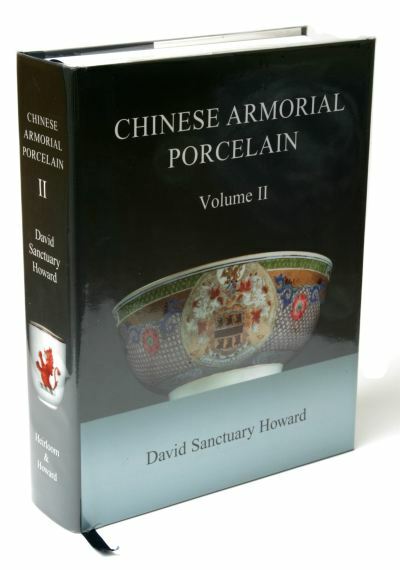 For supplementary and updating material there is a useful website to complement the book www.chinese-armorial-porcelain.co.uk. I list this book a bit reluctantly, because there are a risk that anyone that only look at the cover will be disappointed, since this book deals almost exclusively with Rose Medallion, and is thus one of the the best books on the market for that kind of decorations. However there has happened a lot since this book was written. The typography is homemade (yes) with a typewriter it seems, and the mostly black and white illustrations are mediocre. 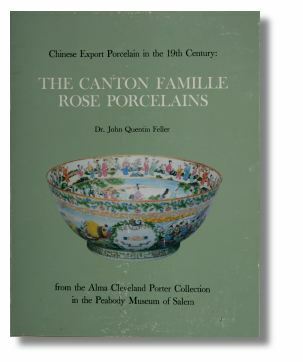 Still due to its sheer mass of illustrated pieces I still think this belongs among one of the better books to have on this subject, in particular if your main interest in Rose Medallion decorated porcelain for the North American market. Despite a few minor mistakes, it sorts out the North American terminology on Chinese export porcelain pretty well and you get all of the traditional definitions down pat. Someone needs to keep up the traditions and I think this book does that pretty well. If you want better illustrations, there are plenty books with good pictures around. In that respect, this book hits pretty near rock bottom I would say. Maybe you should try to take a look inside it before you decide, but since I think it is available dirt cheap second hand, it’s not that big a decision. 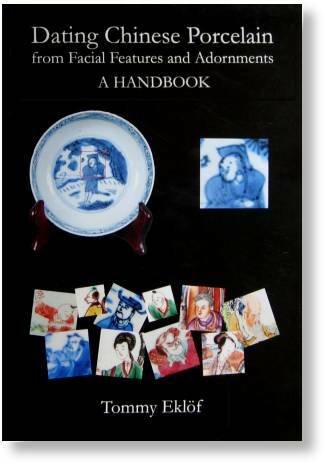 I think I would call this an introductory book on Chinese export porcelain. The perspective is the North American and I think if that is where you are, maybe this is the book to begin with. It is not a “master piece”, maybe it tries to cover too much, but I still think it is a good beginners book which covers most bases and illustrates some of the more serious collectors items that belongs to the North American history and tradition. If you just want one book on this topic, this could be a good choice. New York: Clarkson N. Potter, 1986. When I met Mildred Mottahedeh in New York in 1978 this book set was just off the presses, so I could talk her out of a signed copy for myself. She and her husband had single-handedly pushed up the auction prices on export porcelain to never before seen heights and this was the result. Their collection, catalogued and described by two of the most knowledgeable scholars in the field. There were at the time nothing like it on the market and I would say as an individual book, even if it happens to be a set of two, it has not yet been rivaled. In its dry manner it is very British. I can recognize David Howards very knowledgeable but light-hearted academic prose. This is a set of two books and the definitive must have if you are interested in Chinese export. This is a must. A very large proportion of all “classical” export patterns from the 18th century are illustrated and described. There are certainly more pieces and decorations around of importance that are not here, but this book is a must and very practically so too. This is the first volume of the well known standard works on Chinese Armorial porcelain for the British market, between 1695 and 1820. 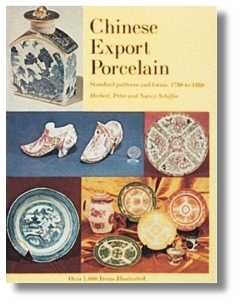 Besides this, an excellent tool for anybody who want to be able to date 18th century Chinese export porcelain in general. It give a good background to how the porcelain that was made specifically on order was made decorated sold and, bought. 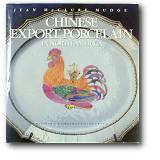 This book is a masterpiece and an indispensable book for any in the antiques business as well as most any collector of Chinese Export Porcelain. The illustrations that are mostly in black and white feels today a bit dated but are OK for identifying purposes.